Having trouble viewing this email? Click here to open in your browser. Student applicants can be at the advanced undergraduate, master's or doctoral level. All fields of study are eligible. Students graduating in spring 2019 are eligible to apply. The program priority for student applicants is to promote research in all fields of study related to Mongolia, in some cases laying the foundation for MA and PhD theses and dissertations. Faculty applicants can be faculty members of US colleges and universities interested in conducting short-term field research in Mongolia. The program priority for faculty applicants is to support faculty from non-research universities and colleges, especially faculty who are helping guide student research projects or can show the experience will enhance their teaching. This program will provide advanced graduate students or faculty in library sciences or related fields with up to $4,000 to conduct short-term projects and/or research projects in Mongolia between May and October 2019. The program helps support development of the ACMS research library through specific projects designed to enhance collection content and resource availability. Students and scholars are invited to enroll in an eight-week intermediate Intensive Mongolian Language Program at ACMS in Ulaanbaatar. The program will start in mid June and continue through early August 2019. The program aims to to provide students with an opportunity to enhance their communications competence through systematic improvements in reading, writing, listening and speaking skills, in an authentic environment that will provide multiple opportunities to hear and speak Mongolian. ACMS has been operating summer Mongolian language classes in Ulaanbaatar for several years and the reviews of the instructor as well as the program have been excellent. The program involves a combination of formal language training, classroom discussion and site visits in and around Ulaanbaatar. Students and scholars of any nationality are encouraged to apply. A limited number of Fellowships are available to cover some or all of tuition. This summer, ACMS is pleased to announce a unique new opportunity related to Mongolia -- the Luce/ACMS Summer 2019 Field School Program in Mongolia. While graduate and undergraduate students as well as faculty are strongly encouraged to apply, "non-traditional" participants of all ages with an interest or background in Mongolia are also very welcome. Archeology Field School: Dr Julia Clark of NOMAD Science will lead a field archeology project in Hatgal, near Lake Hovsgol in northern Mongolia, combining academic archeology with cultural heritage tourism and public anthropology. Rural-Urban Migration Field School: Dr. Holly Barcus of Macalester College will lead a study of rural-urban migration in Mongolia, exploring both the reasons people move to urban areas and the reasons why others choose to stay behind. Renewable Energy Field School: Dr. Darrin Magee of Hobart and William Smith Colleges and Dr. Charles Kruskekopf of Royal Roads University will lead research into Mongolia's energy systems, with a focus on renewable power including solar, wind and hydro. Academic credit may be possible for those successfully completing the program. Participants are responsible for their own travel arrangements. Each field school will begin in Ulaanbaatar on July 29, 2019 and will run through August 16, 2019. Participants are welcome from all nationalities including Mongolia, Canada and the United States. The cost is $2,900 including room, board and internal travel costs. A number of partial and full scholarships up to $3,500 will be available. ACMS offers private Mongolian language lessons for students and researchers of varying levels at the ACMS classroom in Ulaanbaatar year round. ACMS has been organizing language and cultural programs since 2008, allowing students to improve their reading, writing, listening and speaking skills as well as their knowledge of Mongolian culture. Our experienced language teacher will design a custom curriculum and materials for each student based on their skill level, research topic and overall goals. The ACMS language program has been instrumental in providing countless researchers with the language skills they need to be successful in their research in Mongolia. "My internship at the Rubin Museum is fantastic! I started on September 28 and this first week I got a chance to meet the Programs and Engagement Department team and my intern co-workers . . . we had a public tour to gain an understanding of the museum exhibits . . . in addition, I walked through the process of Family Sunday with the team last week, which I will be resposible for starting from this Sunday. "I am so delighted to be part of the Education Department of this great organization and keen to participate and help with their great projects in the future. I am already learning a lot and look forward to experiencing more. Thank you so much to the American Center for Mongolian Studies, Rubin Museum and Institute for the Study of Mongolian Dinosaurs for giving me this amazing opportunity"! Former US Ambassador to Mongolia (2003-2006) Pamela Slutz visited the ACMS office in Ulaanbaatar on October 5, generously donating a copy of The Time of Heaven, the English translation of P. Ochirbat's memoir. Ochirbat was Mongolia's first democratically elected president. The translation was recently published by the Mongolia Society with support from Ambassador Slutz. The Time of Heaven traces former President Ochirbat's path from the rural Mongolian countryside to the highest political office in the country while also exploring the complex issues of democracy, the legacy of socialism, citizenship, ethics and the responsibilities of a government to its people. Dr. Brian Hammer, Dean for Asia and the Pacific Region for SIT Study Abroad programs, visited the ACMS office in Ulaanbaatar, also on October 5. SIT has been a much appreciated long-time institutional member of ACMS and SIT students regularly receive ACMS services and support. T he Council on Overseas American Research Centers (CAORC) held its biennial Overseas Director's Meeting on the island of Djerba off the coast of Tunisia in early October. Representatives from the CAORC-supported network of more than 20 overseas American research centers attended -- including ACMS resident director Tricia Turbold. Among other things, the meeting provided opportunities for Tricia to present ACMS to other country directors. It also provided an opportunity for research directors from around the world to meet each other, cooperate, share "best practices" and learn about each other's work. ACMS Executive Director Jonathan Addleton's interview with Star TV's weekly Talk to Me, hosted by former ACMS Fellow Peter Bittner, was posted on October 19, 2019. Much of the interview focuses on ACMS -- a link to the program is posted here. It is approaching that time of year again -- ACMS membership renewals generally follow our fiscal year of October 1st to September 30th. That means it may again be time to renew your membership. If you are not already a member of the ACMS, please consider becoming a member. ACMS Members are an important part of the governance of the organization, having voting rights to elect “At-Large” representatives of the Board of Directors for individual and student members and rights to nominate a representative on the Board of Directors for institutional members. The Board of Directors is the governing body of the organization, and it has complete authority over all programs and activities. Members, both individual and institutional, therefore have a direct stake in the future development of the organization. Membership is open to individuals, corporations, and institutions that support the ACMS's mission of promoting scholarship in Mongolia, and dues go directly towards supporting the programmatic and administrative expenses of the organization. As a registered 501(c)3 non-profit, academic organization, membership dues and other donations paid to the ACMS are tax deductible in the United States. For more information on member benefits and membership options, please see our membership page. Institutions that traditionally have been ACMS members are requested to renew their membership as soon as possible; other institutions are most welcome to join for the first time. Birtalan Agnes: "Black and Yellow Shamans in Mongolia in the 1990s"
There is a long tradition in Hungarian academia of conducting field research among Mongols, dating back to the 1870s. Since then, several students from a variety of research fields have visited Mongolia such as Vilmos Dioszegi who worked with Darkhat and Buryat shamans in the 1960s. 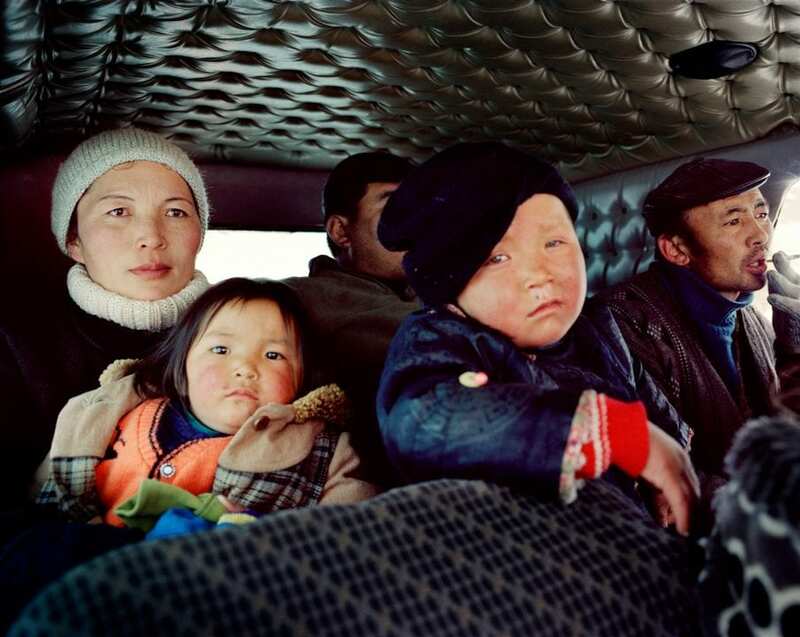 After the political changes of the early 1990s, a joint expedition of Hungarian and Mongolian researchers initiated a long-term field research project among various Mongolian ethnic groups. The political turn in the early 1990s also created opportunties for free religious practice as well as academic study of these pratices. The 1990s are especially valuable, as shamans and other religious specialists could continue their traditional activities, which had to be practiced secretly during socialist times. Since participating in that expedition, Dr. Birtalan has focused her research on the oral traditions of various Mongolian ethnic groups, and she has recorded shamanic invocations, rituals and oral narratives. The traditions of the "black" (non-Buddhicised) and "yellow" (Buddhicised) shamanic practices have preserved many authentic features, even as they have started to merge with other -- sometimes foreign and even strange -- new influences. This presentation will include a brief historical overview of Mongolian shamanism and display Dr. Birtalan's field experience about the belief systems, ritual practice, textual corpus and ritual objects of the black and yellow shamans of the Darkhat and Oirat territories. Birtalan Agnes is a professor of Mongolian studies at the Department of Mongolian and Inner Asian Studies at Eotvos Lorand University in Budapest, where she also earned degrees in Mongolian, Russian and Korean Studies, and History. In addition to teaching numerous subjects at her university, she often lectures abroad. Dr. Birtalan has carried out field research in each country where Mongols currently live, including Mongolia, China (Inner Mongolia and Xinjiang) and Russia (Buryatia and Kalmykia). 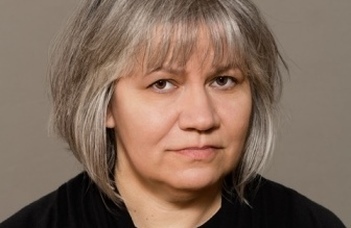 She has numerous PhD students from Hungary and abroad, and she is the author of several books and articles written in English, German, Hungarian and Mongolian.Some of her articles and books can be found at elte.academia.edu (Agnes Birtalan). Dr. Birtalan actively participates in organizing Mongolian studies programs, and was elected president of the International Association of Mongolian Studies (IAMS) in 2016. Thalea Stokes: "The Hip-Hop Scene Among Mongols in Mongolia and China: Witnessing the Development of a New Tradition throughout the Mongolian Diaspora"
October's ACMS Speaker Series included a presentation on October 16 by ACMS Research Fellow Thalea Stokes focused on Mongolian Hip-Hop, a culture that combines adventurous dancing, fierce ethnic pride, unabashed borrowing and innovation, and brave social and political critique. In Mongolia, those immersed in the hip hop community are both cultural and counter-cultural agents: they feel free to express their full range of emotions and attitudes uninhibitedly while also reaping the benefits that come with being the major ethnic group in the country. Meanwhile in China, Mongolian hip hop is a vastly more curated form of artistic expression, where it can turn quickly from an enjoyable pastime to grounds for government investigation. Hip hop as an imported cultural product is a relative newcomer in East and Central Asia, and while it is particularly young in Mongolia, it has experienced rapid and profound changes in its short period of growth. Following a trajectory of popular acceptance similar to that in the US but at a much faster pace, shapers of the Mongolian hip hop community have quickly adapted to and adopted new influences, drastically growing the art's fan base. Perhaps most importantly, it has served a vital role in constructing contemporary Mongolian identity, proposing a Mongolianness that is historically grounded, able to easily keep pace with the ever accelerating world, and has the potential to act as a cultural bonding agent between Mongols in Mongolia and Mongols in China. This talk presented the first of a two-part research project into the hip hop scene among Mongolians in both Mongolia and China and the nature of the relationship between the two. Among other things, it featured preliminary findings and proposed further paths for investigation related to the Mongolian hip hop scene. Thalea Stokes is a professional musician and aspiring educator. Hailing from Atlanta, she was born and raised in a military family, traveling extensively and immersing herself in a variety of different cultures from infancy. She also began studying classical doublebass at an early age, becoming an active member of several professional orchestras by the time she graduated from high school. She continued to develop her interest in different cultures and music, graduating from Western Michigan University with a BA in International and Global Studies, a Bachelor of Music Performance with a minor in Mandarin Chinese and an MA with a focus in ethnomusicology. Her MA thesis is titled "Across the Red Steppe: Exploring Mongolian Music in China and Exporting it from Within". Thalea is now a PhD student in Ethnomusicology at the University of Chicago where she is continuing her focus on Mongolian music, specifically the cultural leveling effect hip hop culture appears to have among Mongols in Mongolia and throughout the Mongolian diaspora. She is currently conducting dissertation fieldwork in Ulaanbaatar (Mongolia) and Hohhot (China). As an ACMS Research Fellow, her work in Ulaanbaatar has been sponsored and vitally aided by ACMS members and staff. Her life goal is to establish a school for institutional music, modeled after her own fine arts high school, providing a means by which school children can critically study and engage with different cultures and languages through culturally relevant and diverse music. The Council on Overseas American Research Centers (CAORC) -- which includes ACMS among its members -- announces its National Endowment for Humanities (NEH) Senior Research Fellowship for 2018-2019, supporting advanced research in the United States for US postdoctoral scholars and foreign postdoctoral scholars who have been residents in the US for at least three years. Fellowship stipends are $4,200 per month, up to a total of four consecutive months. Mongolia is included on this year's list of eligible countries, along with Algeria, Armenia, Azerbaijan, Cambodia, Cyprus, Georgia, Indonesia, Mexico, Morocco, Nepal, Senegal, Sri Lanka and Tunisia. Research should take place during the period May 2019 through November 2020. Applications for the NEH Senior Research Fellowship must be submitted by January 24, 2019 with announcements on awardees provided by the end of April 2019. 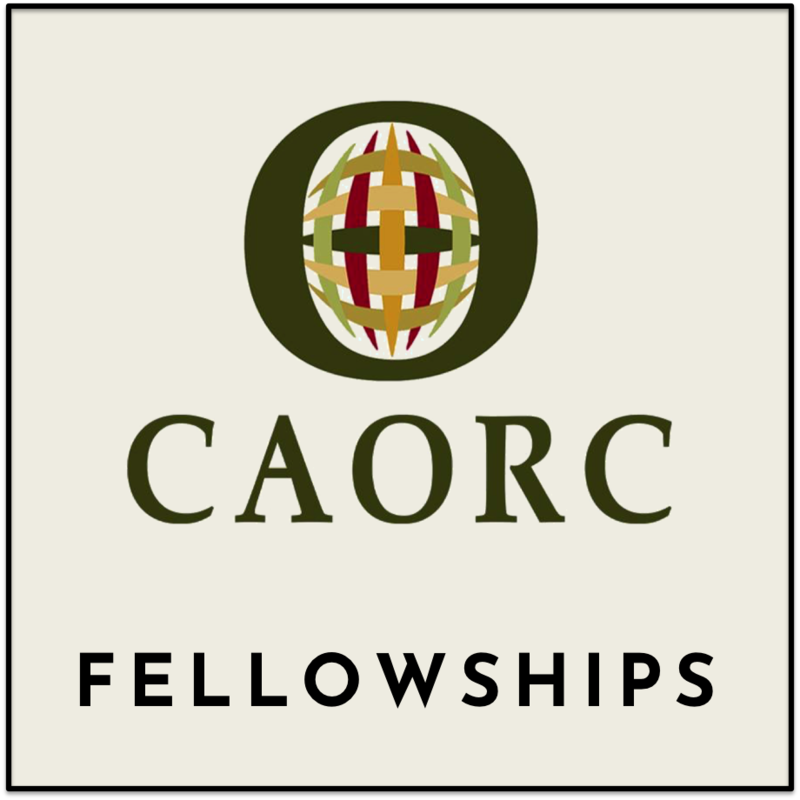 CAORC also announces its Multi-Country Research Fellowship Program, supporting advanced regional or trans-regional research in the humanities, social sciences or allied natural sciences for US doctoral candidates and scholars who have already earned their PhD. Preferences will be given to candidates focused on comparative and/or cross-regional research. Scholars must carry out research in two or more countries outside the US, at least one of which hosts a participating American overseas research center (such as ACMS). Approximately eight awards of up to $10,500 each will be given each year. Applicants must be US citizens; have a PhD or be a doctoral candidate who has completed all PhD requirements with the exception of the dissertation; and be engaged in the study of and research in the humanities, social sciences or allied natural sciences. Proposed research must be conducted in two or more countries outside the US, one of which must host a participating CAORC center. Travel is not currently possible in the following countries with research centers: Afghanistan, Bangladesh, Iran, Iraq, Pakistan (though senior scholars may be permitted to travel with permission to Lahore and Islamabad) and Yemen. 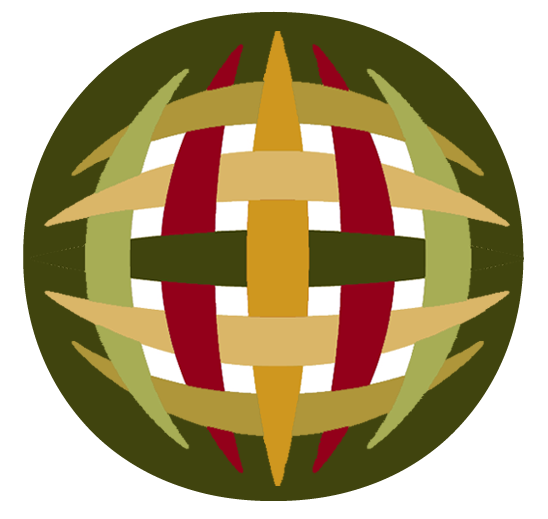 Applications for the CAORC Muli-Country Research Fellowships must be submitted by January 24, 2019 with announcements on awardees provided by the end of April 2019. The Embassy of Mongolia and the Mongolian Cultural Center in Washington, DC are pleased to invite those interested in Mongolia to the XIII Annual Mongolia Studies Conference, scheduled to take place during February 15-16, 2019 in Washington, DC. Research topics must be relevant to Mongolia, covering such subjects as Mongolian language, history, religion, arts, literature, anthropology and other subjects that speak to social, economic and cultural issues related to Mongolia. Papers must be original to the author and can be written and presented in either Mongolian or English. However, participants who present in Mongolian must submit a full English translation of the paper at least one month prior to the conference. The deadline for submitting paper abstracts is December 1, 2018. Abstracts should not exceed 500 words. Those submitting abstracts will receive an e-mail from the conference organizers by December 10, 2018 if their paper has been selected. As a prerequisite for presenting, a $50 conference fee is required, covering two days of conference attendance, commemorative pen and folder and food and beverages including breakfast, lunch and reception. Alternatively, the $50 fee will provide membership to the Mongolian Cultural Center -- in which case the conference fee will be waived. The conference will be held on February 15-16, 2019 at Clarewood University, located at 1840 Michael Farady Drive (Suite 100), Reston, VA 20190. Do you have colleagues who might be interested in collaborating with me on a project looking at the Second World War from different national perspectives? I am building a team of experts to contribute chapters on such places as Brazil, Denmark, Egypt, Fiji, Indonesia, Korea and Mongolia during the conflict offering perspectives on the war's course in these countries, its place in popular memory and the historical literature. What I hope to find are people up for writing a chapter who are in a positIon of familiarity with their particular country's war history and the literature in the national language (as well as English or other relevant languages). ACMS members with an interest in this subject (or who know others who may be interested), feel free to contact Ashley Jackson on this query directly. Photographer Frederic Lagrange, born in France and now living in Brooklyn, New York, has announced via Kickstart the launch of a new project that includes both a large-format art book simply titled Mongolia and individual color and black and white photographs from across Mongolia. A seventeen-year effort starting with Lagrange's first visit to Mongolia in August 2001, the book includes photos taken during all seasons. The collection is visually stunning and includes both landscapes and portraits. Text is also provided, written by the well-known travel writer Pico Iyer. Lagrange's work covers a number of themes including travel, fashion and portraiture. His photos have been published in a number of magazines including Vogue, Vanity Fair, Conde Naste Traveller, GQ, New Yorker and the New York Times Magazine. Much of his travel work focuses on South Asia, South East Asia and Central Asia. Visitors to Mongolia will appreciate almost immediately the extent to which internal migration has emerged as an important economic, political and cultural feature of present day Mongolia. Perhaps most apparent by the rapid growth in ger districts surrounding Ulaanbaatar, it is also an important factor in a number of provincial towns, even as certain rural parts of the country are being depopulated. As this study points out, "Internal migration within Mongolia has a long tradition that continues up until today. More recent trends, however, are exceptional in that the share of households moving from rural to urban areas -- including the capital of Ulaanbaatar -- is relatively high, resulting in urbanization and the depopulation of certain rural areas of origin. Given the challenges in both urban and rural areas because of internal migration, it is no surprise that the issue has become a main policy concern for the country." This study packs a lot of detail into only 66 pages, covering such important topics as basic characteristics of migrants; living conditions including housing, water, sanitation, health and education; drivers of migration; challenges in both the place of origin and destination; and plans, if any, for future migration. It also includes a useful set of conclusions and recommendations, all available for free at the IOM "bookstore" website. The last such detailed internal migration survey was conducted nearly a decade ago, making the statistics available in this latest IOM contribution especially welcome. Also, the study provides opportunities for policymakers and researchers alike to move beyond the anecdotal. In particular, this study draws on household surveys across both rural and urban Mongolia, covering 3,715 individiuals living within 1,001 households. This quantitative data is supplemented by qualitiative observations based on focus group discussions and stakeholder interviews. These observations combined with the statistical presentation will be very useful for both policymakers and academics attempting to better understand contemporary Mongolia and especially the main features and impact of the movement of people within the country, primarily to Ulaanbaatar. The International Organization for Migration, based in Geneva but with offices in Ulaanbaatar and around the world, sponsors research as well as development programs related to both internal and international migration. As Kirkus Review describes it, this debut book by New Yorker staff writer Paige Williams provides "an account of a 38-year-old American fossil hunter who, in 2012, sold the reassembled bones of a 24-foot-long T. bataar from Mongolia at auction in New York," an illicit $1 million sale the eventually resulted in a landmark court case and the return of the bones to Mongolia. 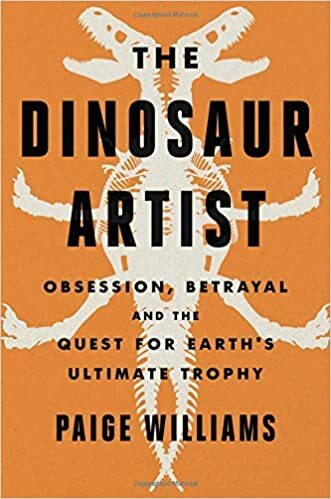 According to the New York Times, what begins "as the tale of an unusual court case involving a rogue fossil hunter unspools in this book into a wide-ranging examination of the ways that commercialism, ambition, politics and science collide". Mongolia figures prominently in the book, both in terms of the court case at the heart of the story and with respect to the role that it has historically played in contributing to both the mythical narratives and the dinosaur bones that are a catalyst for American perspectives on the country, starting with Roy Chapman Andrews and continuing to the present day. Paige Williams is a staff writer for The New Yorker. A National Magazine Award winner for feature writing, her journalism has been anthologized in The Best American Magazine Writing and The Best American Crime Writing. She is the Laventhol/Newsday Visiting Professor at Columbia University's Graduate School of Journalism; has taught at the University of Mississippi, New York University, Missouri School of Journalism and MIT; and was a Nieman Fellow at Harvard. This book is based on a story that orginally appeared in The New Yorker for which she has also writen about suburban politics in Detroit, the death penalty in Alabama, paleoanthropology in South Africa and the theft of cultural palimony from the Tlingit peoples of Alaska. ACMS members who speak and read French may be interested in this new book published in France and scheduled to be released by Transboreal in November 2018. The text covers the winter that Mark Alaux spent with a family of nomads from the Bayad ethnic group in the far west of Mongolia, sharing in their solitude, their work as herders and their celebrations and festivals. The book also includes a large number of maps, drawings and photographs. Mark Alaux is a French researcher, writer and archaeologist. He first visited Mongolia in 2001 and has subsequently made six more trips, walking more than 7,000 kilometers in various parts of the country. When not visiting Mongolia, he lectures, helps organize events related to Mongolia and writes and publishes books and articles on the history, economy and cuture of Mongolia. Timothy May, active in both ACMS and the Mongolia Society, has just published a new book on the Mongol Empire, the "largest contiguous empire in history," one that "permanently changed the map of Eurasia as well as how the world was viewed." As the publisher notes, "the Mongols were alternatively seen as liberators, destroyers and harbingers of apocalyptic doom. At the same time, they ushered in an era of religious tolerance and cross-cultural transmission". This volume is part of a continuing series, published as part of the "Edinburgh History of the Islamic Empires". As such, it "explores the rise and establishment of the Mongol Empire under Chinggis Khan as well as its expansion and evolution under his successors. It also examines the successor states (Ilkhanate, Chaghatayid Khanate, the Jochid Ulus (Golden Horde), and the Yuan Empire) from the dissolution of the empire in 1260 to the end of each state. They are compared in order to reveal how the empire functioned not only at the imperial level but how regional differences manifested". Timothy May is Professor of Central Eurasian Studies and Associate Dean, College of Arts and Letters at the University of North Georgia in Dahlonega, Georgia. A specialist on the history of the Mongol Empire, he has authored or edited six books as well as advised on several television shows. He is also editor of Mongolian Studies: The Journal of the Mongolia Society. 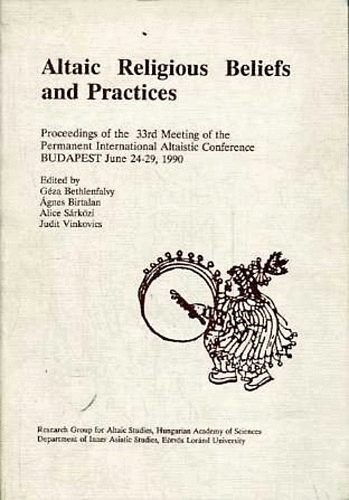 According to the publisher, "This collection explores historical and contemporary processes that have made and remade Mongolia as it is today; the construction of ethnic and national cultures, the transformations of political economy and 'nomadic' pastoralism, and the revitalization of a religious and cosmological heritage that has led to new forms of post-socialist politics". As the publisher also notes, "Mongolia underwent two episodes of revolutionary change in the 20th century; first the overthrow of a Buddhist aristocracy and the construction of a Soviet-style modernist nation-state, and then the collapse of state socialism and the introduction of a 'neoliberal' market economy and parliamentary system". The volume includes both new and previously published work by David Sneath, with a special emphasis on exploring "the major historical processes that made and remade Mongolia as it is today: the construction of ethnic and national cultures from the aristocratic orders of the past; the transformations of political economy and 'nomadic' pastoralism from pre-revolutionary times to the present-day; and the revival and re-invention of ritual pratices that have made Mongolia's cosmological heritage the subject of new forms of politics. This study brings together constructionist social theory, political economy and historically-informed anthropology to offer a distinctive account of social and cultural change". David Sneath is Director of the Mongolia and Inner Asia Studies Unit and Reader at the Department of Social Anthropology, University of Cambridge. He has over 50 publications including three monographs and three multi-volume edited works. 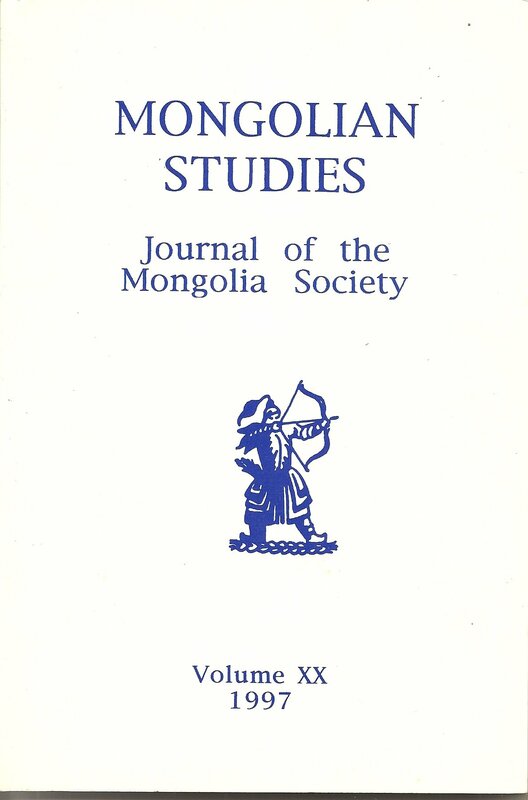 Central Asian Studies (Volume 37: 2018); Special Issue focused on "Capitalism in Mongolia"
The latest issue of Central Asian Survey can be accessed here. This edition also includes the final edition of Henry G. Schwarz's invaluable "Book Notices and Other Books Received as Part of the Mongolian Collection at Western Washington University"
Thanks partly to support from former US Ambassador to Mongolia Pamela Slutz, an English language translation of President Ochirbat's memoirs is now available as the latest in the Mongolia Society's Historical Series of Occasional Papers. According to a summary provided by the Mongolia Society, the memoir "traces the paths that took (Ochirbat) from rural Mongolia to the highest office in the land. Throughout he explores complex issues of democracy, citizenship, ethics, the responsibility of the government to its people, and legacies of the socialist system in the country. He interweaves his disussion with deep historical awareness and a profound love of his people, nation and heritage".